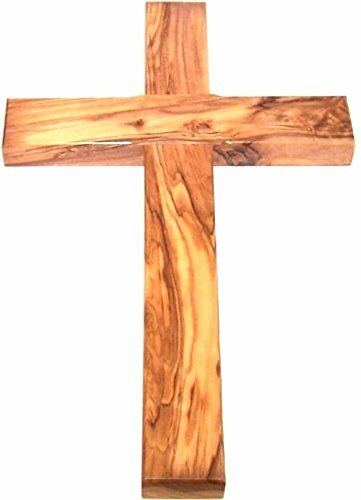 Olive Wood Wall Cross. Special attention is given to detailing every inch of this hand-carved cross. The rich color and interesting veins are characteristic of the beautiful Bethlehem Olive Wood. This Cross comes ready to hang with an explanation card. About 10" in height. 10 inches Cross. The rich color and interesting veins are characteristic of the beautiful Bethlehem Olive Wood.